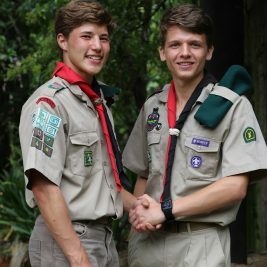 Earlier this year we asked members to tell us who their Scout heroes are and why? From the nominees, two remarkable ladies Elizabeth “Zabe” Mabuza and Nkulu Mabuza captured the hearts of our ‘Scout Hero’ panel who decided to name this mother – daughter duo from Limpopo the “My Scout Heroes of 2017“. 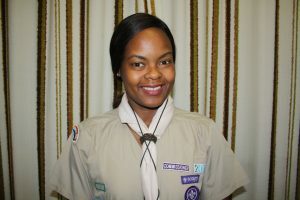 Elizabeth joined Scouting in Limpopo in 2003 and is currently a member of the training team and the Regional Team Coordinator Scouts. She supports over 65 Groups that she personally started. In addition to the increasing number of Gold Star Awards, the impact of the Scouting programme on the lives of youth in the region is clear. 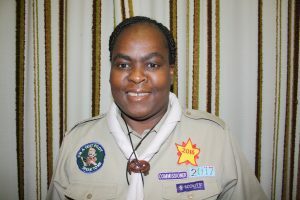 Zabe, as she is known, has faithfully and enthusiastically given her life to Scouting to ensure the success of the children and adults with whom she works. She is an inspiration to children, youth and adults around her and strives to prepare them to either enter the workforce or further their studies”, states Limpopo Regional Commissioner Louise Batty. This mother daughter duo share a passion for children and strive to see each one succeed! We are fortunate to have them on our team and are grateful for their services. They will be receiving a 65+liter hiking backpack and a K Way wheelie Holdall.